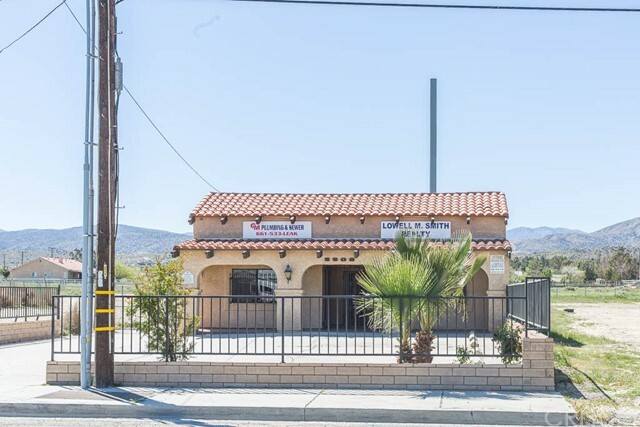 Perfect location right in front of the swap meet to start your new business!! This commercial building is located right at the Four Points intersection on Pearblossom Highway and Highway 138. The building has four separate offices, a large conference room, two bathrooms one with a shower, a utility room and a large reception area. Plenty parking for your clients. This location can be use as office or retail. The property has a 25 year lease with Verizon profit of $1,000 a month for the first 5 years. Every 5 years the Verizon profit increases by 12% totalling $366,306 at the end of the 35th year. Two offices in the back of the building are leased for $1000. The total monthly profit is $2000.